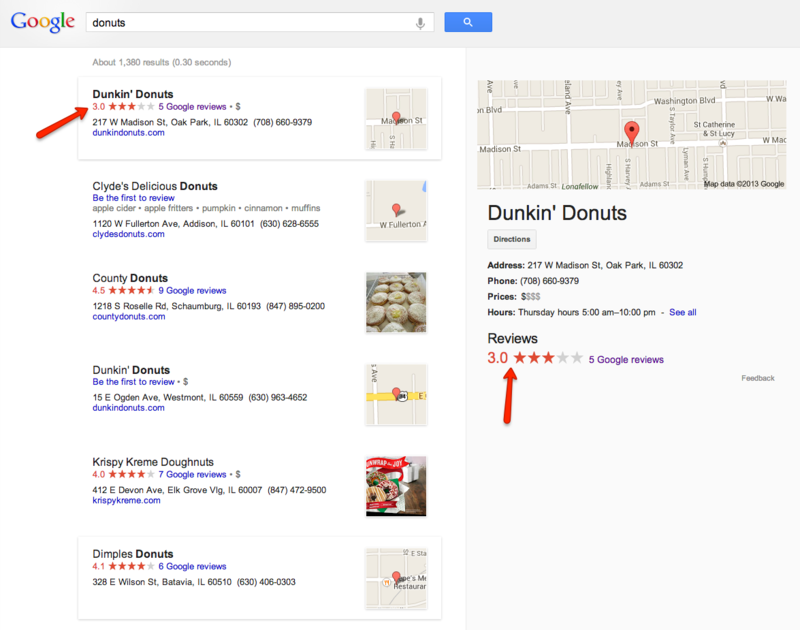 What will Google’s ‘carousel’ mean for local search? Last week, Google’s “carousel” search feature has appeared for more searches. 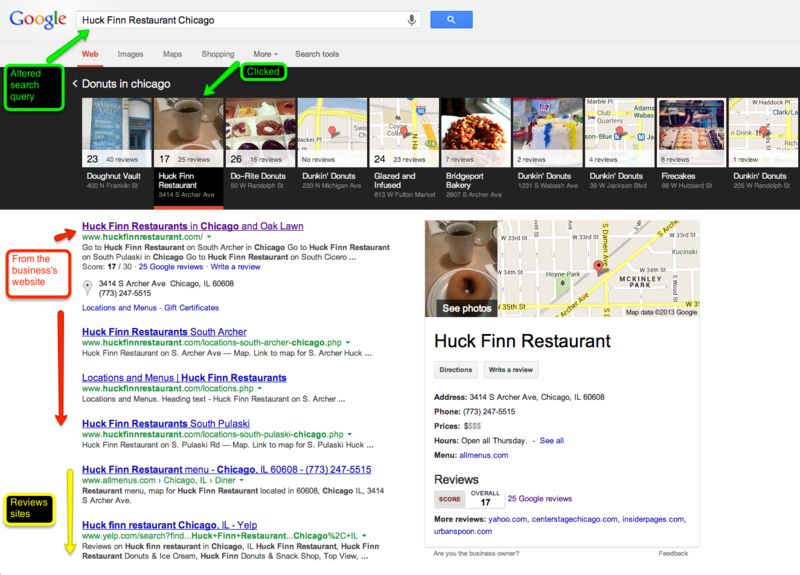 It looks like it is still being tested, but this already looks like a powerful feature for local search. We’ve included lots of links to screenshots in this post to help you better understand what’s going on. Instead of appearing in a list, many searches for local business categories now appear in a kind of slide show at the top of the page. Now, try mousing over a result in the carousel. See how the result is highlighted on the map below? You can use this small map to zoom in or move to another area, which will then affect the carousel’s results. Try zooming in a couple clicks or clicking and dragging the map to see how the results change. Cool, right? Next, click on a carousel result. This will take you to the search page for that specific business where more details are listed, such as reviews, price range, contact info, etc. You said this is still in testing. What’s wrong with it? 1. For starters, the carousel doesn’t seem to appear on all browsers and device types yet. You may have noticed this when you tried the above example. 2. It’s currently unclear how the carousel results are ranked. It seems like the businesses with the higher rating score on a 0-30 scale (the same one Zagat uses) are clustered more towards the left, but this isn’t always the case. And on that note, the Zagat score seems to be based on Google reviews alone unless it says “Zagat” next to the score (another way in which Google is pushing Google+), so it’s possible that reviews from other places or more traditional ranking factors are also at play. 3. Not all business categories or locations have a carousel, at least not right now. 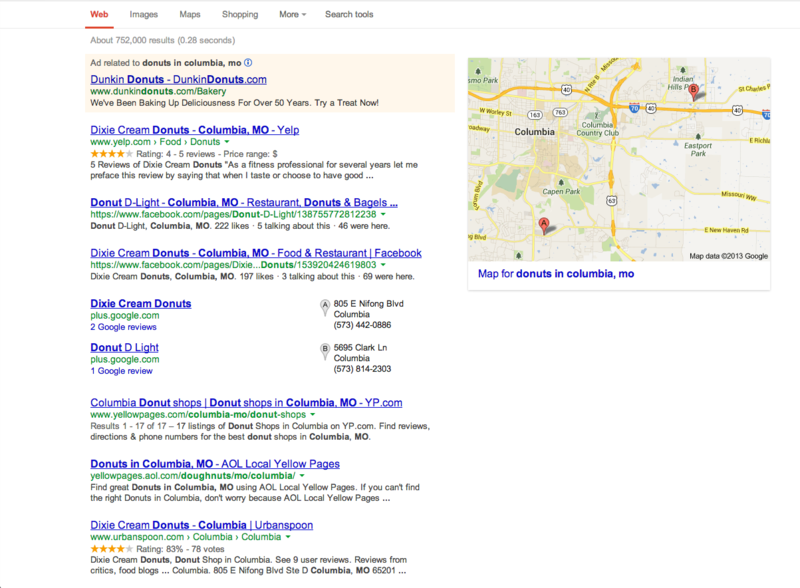 For example, the search “donuts in Chicago” that we used above has a carousel while “swimming pools in Chicago” and “donuts in Columbia, MO” do not. 4. That Zagat rating score a is confusing to some users, and is inconsistent with Google’s current map search, which shows ratings on a 5-star scale. It’s unclear whether the Zagat scale or the star scale will be used on the carousel (and on Maps and Google+) once the new Google Maps is rolled out for everyone. 5. It takes at least two clicks from the carousel to get to the business’s website. Instead of being listed in the box to the right when the carousel image is clicked, the website appears on the list to the left. In the old search, an address and a phone number appeared with the result, without the need for an extra click. —The carousel could potentially have significant effects. 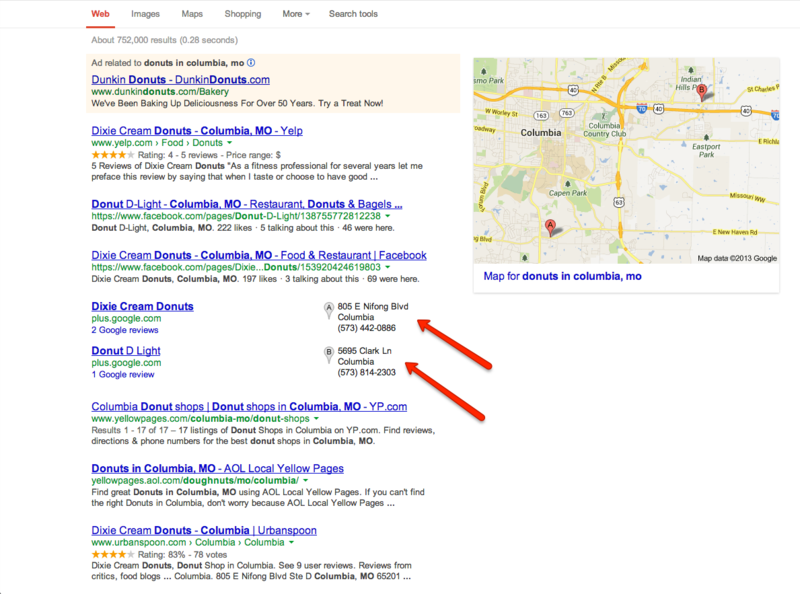 Even with its kinks, the carousel greatly increases visibility for local searches, even for businesses which may not have ranked well before. —Since they are front-and-center, reviews are going to be even more important. —Because the review numbers Google is using (at least for now) are based on Google+ reviews, Google+ presence just became even more crucial.